If you’ve been to one of our ‘Reaching Millions’ PR & Publicity Courses, you’ll know that we spend a lot of time talking about key messaging and USPs; what makes you different from the competition. Working with Journalists is one of our USPs as a PR agency. We work with two national journalists on a freelance basis who give us invaluable feedback on PR campaigns and features that we’re working on for clients. Natalie Brown and Stephanie Clarkson are two of our most trusted media experts and ‘sounding boards’ who provide valuable journalistic insight when it comes to the media. With a wealth of national journalism experience, Natalie specialises in subjects including parenting, family, health, food and relationships. Natalie writes for a plethora of publications including Mail Online, The Sun, The Mirror and numerous other female glossy titles. Steph offers Sunny Bird PR a no-nonsense approach when it comes to what press want from PR’s and brands in order to feature them. Steph has worked on the Femail section of the Daily Mail where she specialised in human interest features, went undercover at Jamie Oliver’s restaurant and wrote investigative pieces on the trade in human hair for hair extensions and the rise in street begging. She then worked as Deputy Features Editor at Woman & Home magazine before forging a highly successful career as a freelance writer. 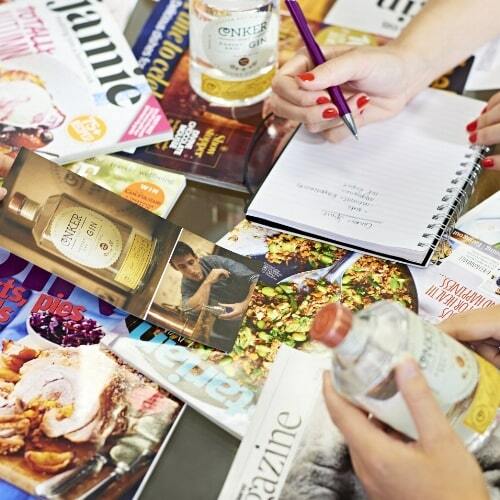 As a specialist in creative PR campaigns, the Sunny Bird PR team spend a lot of time coming up with creative PR campaigns for existing and potential clients. Once these campaigns have been fully researched and costed out by the team we present them to Natalie or Steph for the assessment stage. With their insider knowledge of the media, what Editors are looking for, what’s hot and what’s not, they know exactly what will and won’t work in the media. If our PR campaigns make it past the journalist test then, and only then, will they be presented to the client. It’s this process of ideas through to research through to journalist audit that ensures all of the PR campaigns we execute as an agency achieve the results that we promise. Our job as a PR agency is to deliver results for our clients and this is one of the measures we have put in place to ensure that we do. If you would like the team to come up with some of their award-winning PR campaigns for your business then get in touch on 01202 293095 or email hello@sunnybirdpr.com.